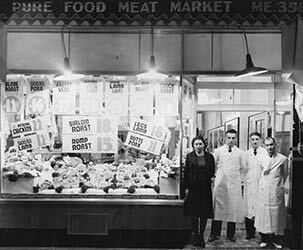 In 1927, the Schwartz family started in the retail meat business with one mission; to bring great taste and quality to Canadian tables. Now with a history that spans three generations of family ownership and pride, Pure Foods continues to bring great taste and quality to Canadians. 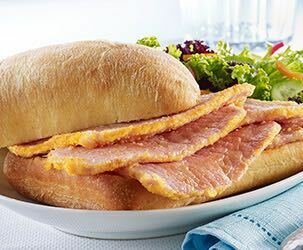 We have a wide selection of specialty meat products that you would be proud to serve friends and family, like our premium quality peameal bacon. It’s naturally lean, gluten free, phosphate free and has higher meat protein than other brands on the market. We are proud to continue our heritage of family ownership and expert butchering. Canadian-owned Pure Foods offers products that are hand-trimmed with care, hand rubbed with a variety of spices, and are simple to cook. Our manufacturing facility is federally inspected, HACCP certified and SQF compliant, which means you can feel good that each cut is a wholesome addition to any meal. PURE FOODS IS A CANADIAN OWNED AND OPERATED FAMILY BUSINESS. our meats are Expertly butchered to ensure a high quality cut each and every time. With Pure Foods, you’ll enjoy great tasting meats in a variety of delicious flavours.